When Thomas Applegate is cheated out of his marble collection he heads for the local junk shop where he's sure Mr Armitage the owner will have some marbles at a knockdown price. Little does he know that he's about to embark on an adventure of extraordinary proportions when he discovers a large marble that was hidden inside an old Chinese vase. The marble's magic takes him back in time to ancient China. 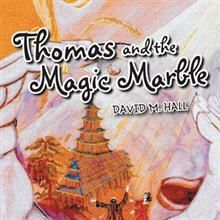 Here Thomas must use all of his wits to save and help mysterious magician Wing Ling who has been trapped in the marble for a thousand years.